The breakfast was alright and the elevator looked modern. The hotel is a bit rundown and location is not so nice, but good value for money compared to the nicer and much more expensive hotels by the Rhine. 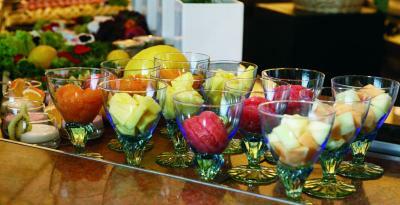 Hotel breakfast is relatively expensive, so if you can skip it, you will save even more. 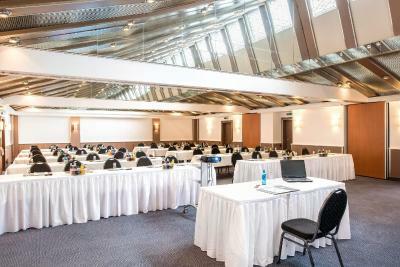 The Hotel was ideally situated for my visit to the opening of an Exhibition at the Wilhelm Hack Museum. Next to the Ludgwigsdhafen Hbf & S-Bahn, made travel from and to airport very easy. 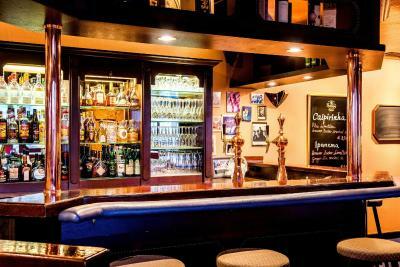 All staff friendly and helpful. Useful Bar menu. Location to station was brill. Great value for money on 3 nights. MOST staff really kind and helpful. Thank you. COFFEE to take away was lovely quality.ROOM really quiet and large. Bed comfortable. Did not take breakfast as pricy. All in all enjoyable and would return. Mini bar good selection and upgraded to Comfort Room great. 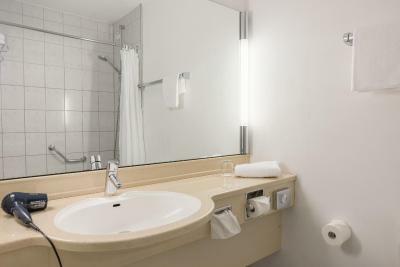 I loved the clean and spacious room. Also the people were very friendly and made us feel welcome. It was now we were able to store our suitcases at the hotel and see the city till we could check in. 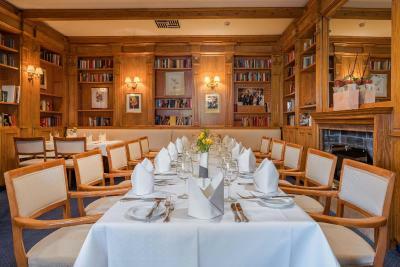 Restaurant staff were exceptional and evening meal was excellent. Proximity to the train station. Spacious room. Good WiFi speed and coverage. 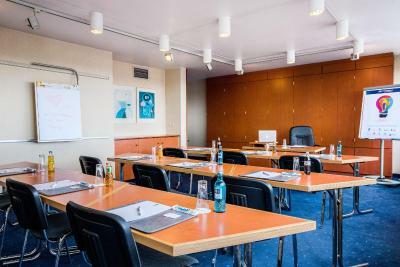 Best Western Leoso Hotel Ludwigshafen This rating is a reflection of how the property compares to the industry standard when it comes to price, facilities and services available. It's based on a self-evaluation by the property. Use this rating to help choose your stay! 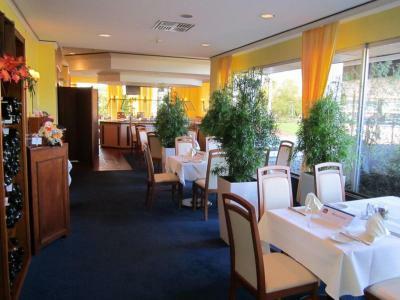 This hotel is beside the train station in Ludwigshafen am Rhein, just opposite the River Rhine from Mannheim. It offers a heated swimming pool and sauna. 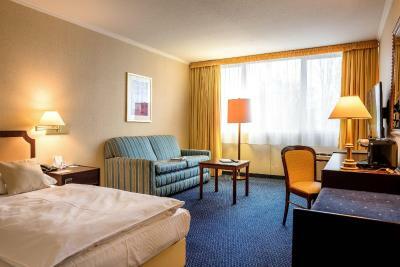 All rooms at the Best Western Leoso Hotel Ludwigshafen have cable TV and broadband as well as WiFi internet. Many rooms offer extra-long beds for extra comfort. 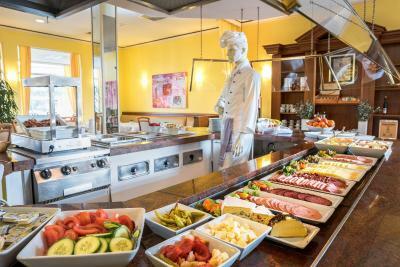 A rich breakfast buffet is provided at the Best Western Ludwigshafen. The award-winning restaurant serves fresh ingredients produced locally. 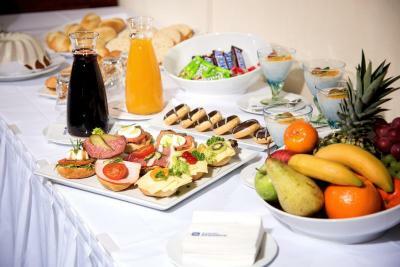 Food is served daily from 06:30 to 22:30 in the Best Western. 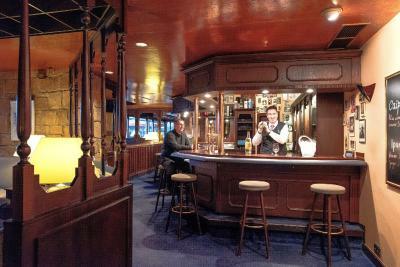 The hotel has a restaurant, lounge and terrace. 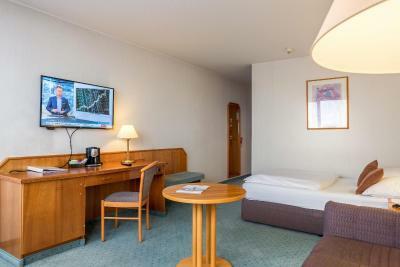 The Best Western Leoso Hotel Ludwigshafen is just 1,650 feet from the A650 motorway. There are parking spaces available in the underground garage or outside the hotel for a small fee. The hotel also offers an electro gas station. 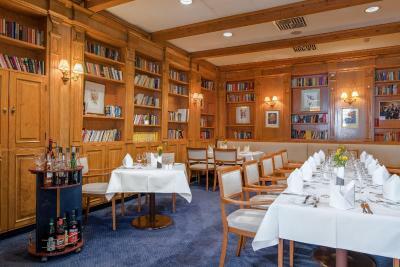 The Best Western Leoso Hotel Ludwigshafen is also a good base for visiting Mannheim and Heidelberg here in the Rhine-Neckar area. 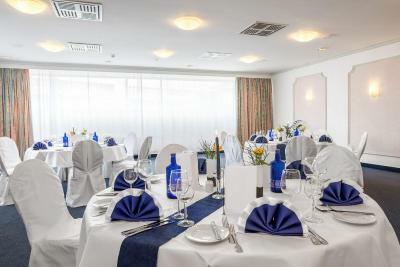 When would you like to stay at Best Western Leoso Hotel Ludwigshafen? 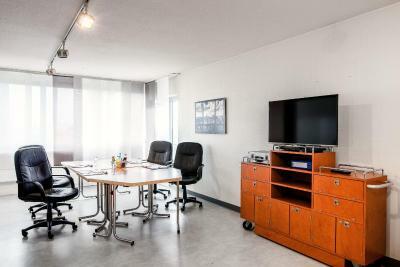 Includes a work desk and private bathroom. 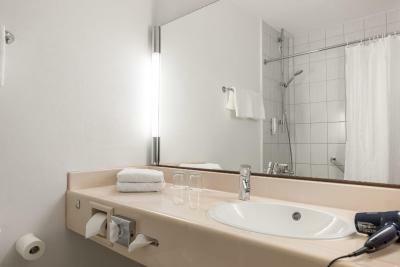 These rooms also have a mini-bar and hot drinks-making facilities. Includes a work desk and private bathroom. 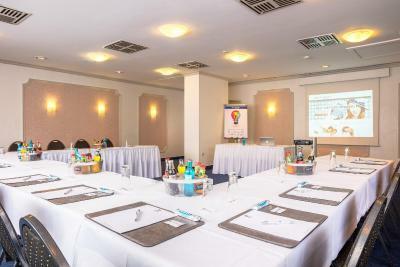 House Rules Best Western Leoso Hotel Ludwigshafen takes special requests – add in the next step! 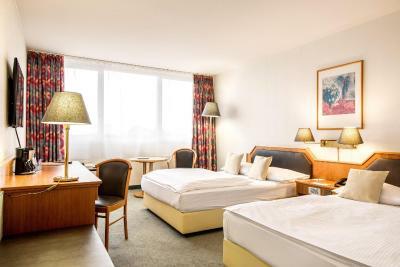 Best Western Leoso Hotel Ludwigshafen accepts these cards and reserves the right to temporarily hold an amount prior to arrival. General location feels a bit unsafe and rundown, but very close to the train station. The temperature unit in my room (514) was antiquated and could only produce heat, not air conditioning. Only one window opens and that only horizontally instead of the normal which is horizontally and vertically. Difficult to get air circulating. TV Channels in room was poor: no News Channel in English: at least two American tour groups present during my time in the hotel. The advertised indoor pool was closed until 01 April. 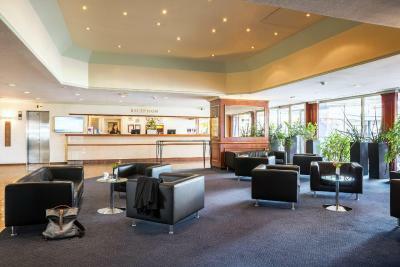 Reception person on arrival please have more kindness and patience with customers and less defensiveness, as first impressions are important after a long journey. Rest were great e.g. Tracy and the other lady. Breakfast pricy at 17 euros. Could not work coffee machine so missed out and think broken as after ten minutes still not working so instructions please! I did not get food in the room. I had to go to the restaurant on the ground floor. I would have preferred having tea and coffee been sent in the room. I though was a bit shame that a problem we had was barely able to explain because of the language barrier. Since we tried explaining it in english that the key was coming apart of the room lable constantly. Also the coffee was absolutely horrible as well in the room as the one at the breakfast restaurant that i got seperate since breakfast to me was a bit to pricy. I was glad to be able to get coffee at the station that was actually good and better for its price. The air conditioning did not work and was extremely noisy. It happened to be the hottest day of the year so far. The room was exposed to the South. The room air conditioner was probably coming from the early 80s, was not working and extremely noisy (tractor-kind-of-level)! Therefore i slept with 28+ degrees sweating like in August in Tel-Aviv but it was April in Mannheim! A nightmare! Stuff arrogant, not helpfull,4 days befor departure heating broke down(outside minus 7 degres Celsius), they have never repaired it, they did not offer to change the room. 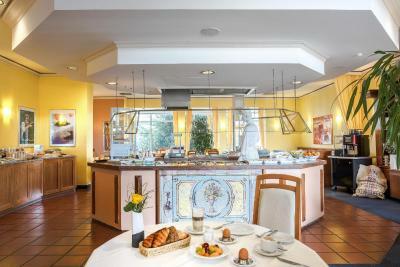 The worst is the fact that they charged for the breakfast 12 days, 17 Eur each, never visited the breakfast room, have ZERO breakfast..they did not sent me money back, they are keeping the money(more than 200 Eur) for nothing! This is really horrible treatment of client! Breakfast was really expensive for what it was. The hotel surroundings are really loud, either you hear that or the very loud AC system.